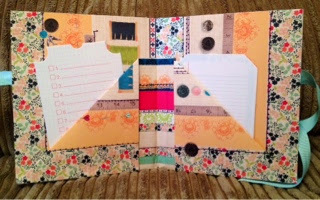 for a mini book using their new paper collection. 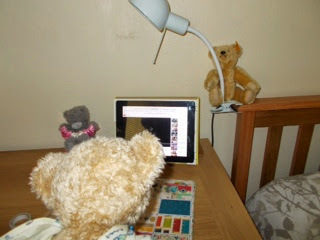 I didn't have this collection but the bears do have the Papermania Sew Lovely collection, which has two of each design in a pack so I decided to get busy and follow the instructions. 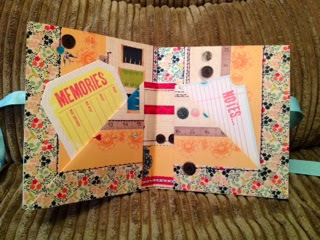 I didn't have the same papers that Lou Collins used, but I did find this Sew Lovely Papermania collection in our patterned paper pile. Perfect for this project. 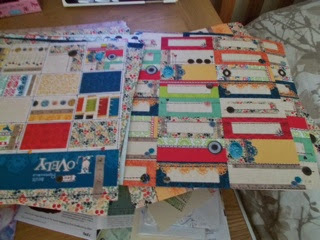 I picked out two matching papers for the outside of the book, and two for the inside. 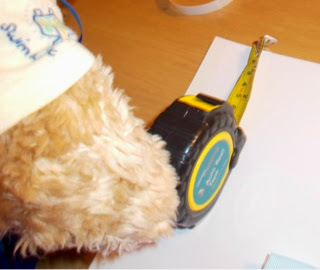 I had to borrow Wilbear's tape measure as my ruler doesn't measure inches! 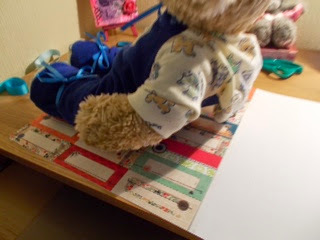 I found my own, inimitable way to smooth down the papers once I'd secured the ribbon within them! Folding the book is, according to Lou Collins, much like making a giant paper airplane. I didn't test mine for airworthiness! 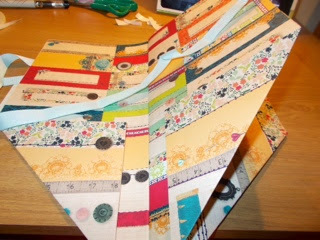 All the folds result in some lovely pockets for the book, which I stuffed with journalling cards. 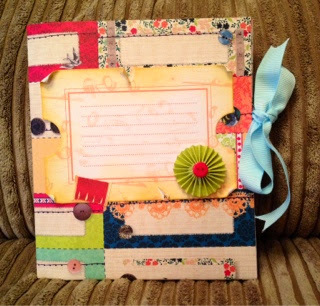 I also added a journal card to the front, and will personalise this to send for a friend's birthday. This is probably the easiest mini book I've made. Why don't you click the link above and make your own? That's lovely Horace. I might make one if my own! Beautiful paper work and nice pics are there.